forever logged on. : EYE CREAM WARNING!!! If you guys have been reading my posts you know I've recently started doing a new skincare routine. So far it's been going really well and my skin has improved a lot. Then one day after doing my makeup I noticed right beneath my eyes tiny bumps were starting to form. To be honest I first saw a bump beside my eye days earlier but thought it was just normal acne. It was like I had chicken pox underneath my eyes, they were red and bumpy. They didn't hurt or itch but it was obvious they were there and it looked terrible. Here's some bad quality pictures of the bumps, in the pictures it looks way better that how it looked in the real life. Not only were there a lot of bumps but they were right on top of my worst eye wrinkles making them look even worse. I went online trying to find what it could be. I knew it had something to do with my skincare, my eye creams specifically. 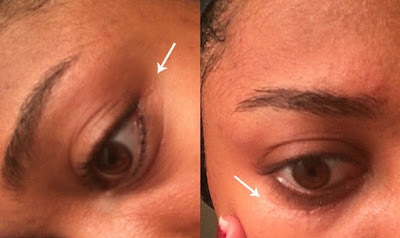 I've been using two different eyes creams and thought maybe I had a bad reaction. 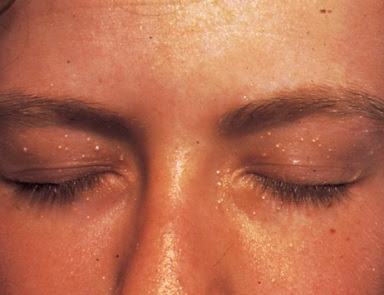 But that wasn't it either, with more research I figured out what I got was under eye Milia. 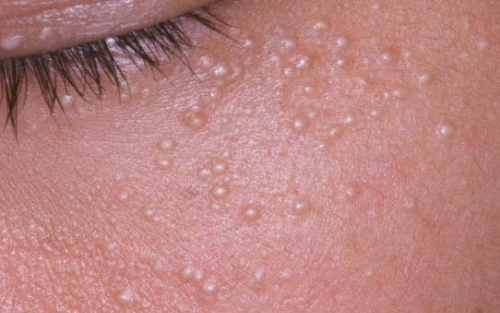 Tiny white cysts that form right under the epidermis of your skin, they can appear if your pores are clogged due to too much moisturizer which is actually what I was doing. Even though on my eye creams the directions say "use sparingly" I was clumping the stuff on, basically putting way too much. Luckily I caught the bumps before they turned white and gross looking. I stopped using my eye creams, continued using my BHA (leave on exfoliate), and did honey masks. I literally put pure honey on the bad areas, let it sit for a few hours, then washed it off. So far it's helped A LOT, and the bumps are nearly gone. Oh wow, I never heard of that before! But thank you for telling us so we can be careful for the future! I'm glad that the remedy you are using now is helping with that alot!